I guess you are familiar with one or more of those phrases from your child. I think the most heartbreaking for me is getting “It’s not yummy” after all the work in the kitchen to ensure that you make the best. Well, that is picky eaters for you and bet me, there is nothing ‘unyummy’ about the food except the fact that it is not wanted at that particular time. It can be so frustrating atimes trying to make sure that your picky eater eats a balanced diet but the good news is that you are not alone, neither is it specific to your child. Picky or fussy eating is a typical behaviour for most children, a part of their growing up and being independent, and therefore a phase that they will certainly outgrow. 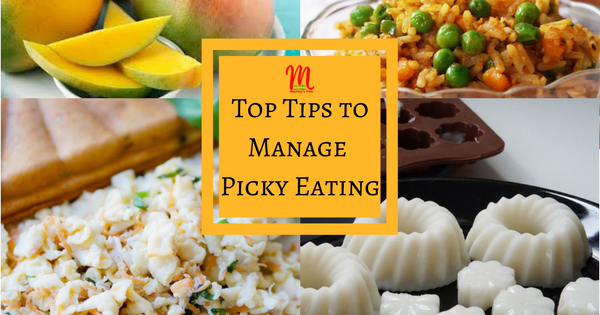 There are several tips on how to manage picky eaters in the meantime to get a nutritious balance meal, and here are some of them which i hope proves useful to you. What they do not see would not be wanted for long. Don’t buy or leave those biscuits, chocolates, crisps, fizzy drinks and juice around, rather keep the healthy alternatives like fruits. We have seasonal fruits all year round…banana, apples, pear, our local udala or agbalumo, sugarcane, icheku (the one in a black shell…help me with the English name please). Even boiled groundnuts can keep them too busy to look for crisps. Offer water more or 100% juice preferably homemade instead of fizzy and sugary drinks. This may be a difficult one especially when you know they have not eaten anything. Well, try not to force them to eat or finish what is in their plate especially when they indicate they are full. So long as you don’t fill them up with snacks and junks, they will eat once they are hungry. According to some experts, forcing them to eat or finish all that is in their plate might make them associate mealtime with anxiety and frustration. Serving one type of meal all the time will definitely make a child not accept new ones easily. Our first excuse is that we have tried other things but he/she refused to take it…now, how many times have you tried that food? Children can reject a food up to 15 times or more before they learn to accept it. Therefore patience is the key…keep trying, not only with one. You can make the same food in different ways too, for example make yam as Bolognese or as a Pancake or turn into Yam Balls too, as well as cooking plain to eat with a dip. As much as we try to ensure they see what they are eating, you can sometimes cut corners just to make sure they get the nutrition they require. You can hide some extra vegetables or even fruits into their favourite meals as a puree or coarsely blend them into their food. Try these spaghetti with Vegetable Meatballs, Carrot and Oats Pancake and Apple Couscous as a way to hide veggies. I’m sure that children love colours as much as we adults do. Some cubed or shredded carrots, bell peppers, green peas and sweetcorn can do the magic. You can probably get to play colour games with them in the process. Encouraging your child/ren to join in the preparation of the meal encourages them to participate in the eating well. Allow them pick the beans, put toppings on the sandwich, wash the vegetables, beat the egg, pound the crayfish and spices. I know it gives mine a sense of belonging, though i have to keep up with too many questions. Yes, they do have eyes and if they see you always ‘downloading’ a 50 litre ‘orobo’ coke with some doughnut and buns, you don’t expect them to take apple as snack or look forward to that healthy meal. Be a good role model by eating the right food while encouraging them to do so. Share your own ideas and methods too by leaving a comment below and don’t forget to join me on Facebook and Instagram, where you get more food inspirations for babies and kids. Please note that these are general tips and ideas. If you have concerns about your child’s feeding and you feel it is out of the ordinary or going on for too long, always seek professional and medical help. “I googled food in Nigeria for babies” months ago and i stumbled on your website and since then i always visit, to get an ideas of what to cook for my baby being a first time and career mum. and i can tell you that you are a life saver. I cant keep quiet any longer Joor, Chioma you the best food blogger we have in Nigeria please Keep it up dear. Thank you so so much Chi. I am humbled by your words.